I have to take a moment and brag about my challenge group...this month my challenge group has 15 incredible, motivated, supportive, encouraging, strong, and determined women in it. And in 1 WEEK my group lost 51.2 lbs.!!! YES, 51.2 LBS!! !These women meal prepped for an entire week last Sunday, worked out 30 minutes 7 days a week, and supported and motivated other women in the group. These women could come up with a million excuses of why they do not have the time to workout and eat healthy but they CHOSE to make DECISION to COMMIT and SUCCEED at getting healthy from the inside-out. We have full-time working women, married women, mom's of new babies, stay-at-home moms, and working moms and they all decided to put their HEALTH first! So I just want to take the time right now to APPLAUD these fabulous 15 women in my group for all of the hard work, dedication, and commitment to this 21 day challenge group! Today I encouraged my group of women not to give up, but to dig deep this week! This week is one of the hardest weeks of the challenge and when life gets tough some people tend to throw the towel in! So whether or not you are in my challenge group, I want to encourage you to push through and reach your goal. If you are applying for a new job, completing college, trying to get out of debt, or trying to change your life and get healthy...remember your WHY! Remember why you started that goal and do anything possible to reach it:) Because I KNOW you can do it! 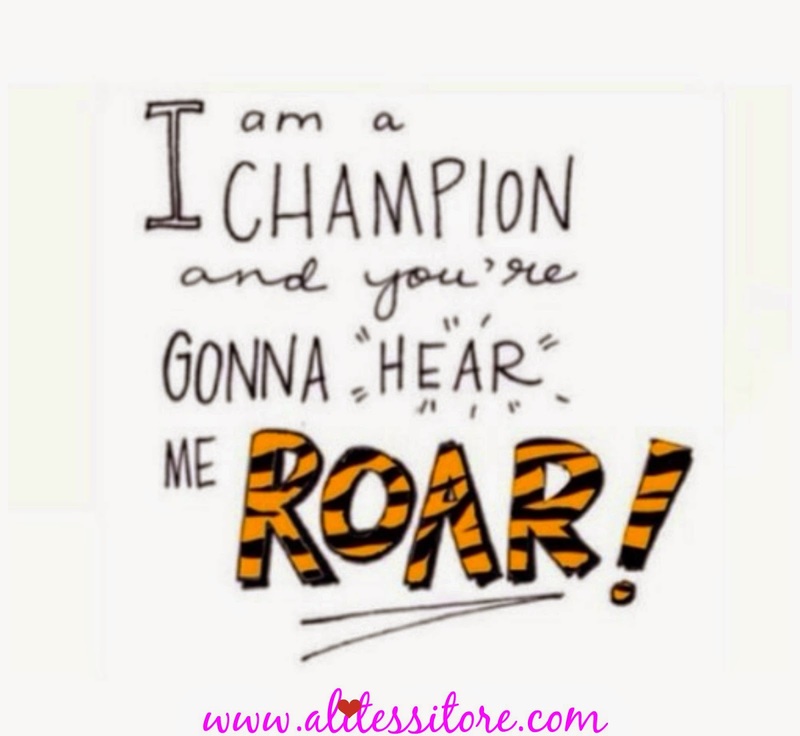 You are a CHAMPION and you're gonna hear me ROAR!!! It's time to start BELIEVING in YOURSELF!